This week was about people asking for respect, and, of course, paying our respects to the late and greatest Aretha Franklin. 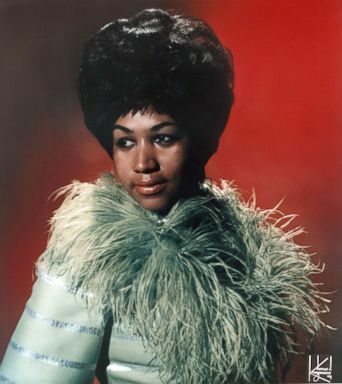 The "Queen of Soul," Aretha Franklin, poses for a portrait with circa 1967. Off the bat, former White House senior adviser Omorosa Manigault Newman, expressed her concerns over the president’s respect, or lack thereof, for minority groups. She claimed to have heard a tape where he used an unbelievable racial epithet and current White House staff stumbled through lines in the coming days about how they have never heard him say the n-word. 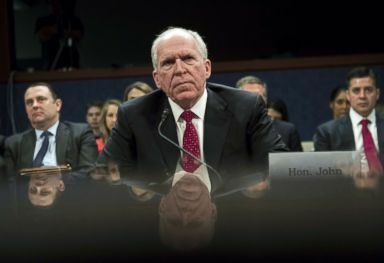 Former CIA Director John Brennan and other former intelligence officers too talked about respect for precedent, as they responded to the president’s decision to revoke Brennan’s security clearance. Having a clearance did not mean that he had access to secret documents, it meant he had the respect of the federal government to perhaps access them again should his expertise be needed. The president pulling the plug on that, for apparent political reasons, sent shockwaves throughout Washington. And then yesterday, the question of respecting the press. Local newspapers around the country – more than 300 in total – ran editorials defending their work, talking about the importance of a free flow of information and defense of the First Amendment. Responding to the president, the South Bend Tribune editorial board wrote, "President Donald Trump recently labeled news organizations the ‘enemy of the American people.’ … The press is supposed to fight for you, and your right to know. The South Bend Tribune, with all its challenges and its imperfections, remains dedicated to that mission here in Michiana. And we’re damn proud of it." For the White House, it was a week of distractions and melodramas. Lost in the shuffle and series of dizzying news cycles was another round of primaries that bode well for Democratic success in a midterm election that is now just over 80 days away. Voter turnout spiked and Democrats appear to have outvoted the GOP by significant margins in the Minnesota and Wisconsin primaries, two states that will be perhaps this years' best barometer of President Trump's political strength heading towards 2020. Tuesday also saw a number of historic firsts in Vermont and Minnesota, and a new high-water mark for female U.S. Senate nominees in our nation's history. 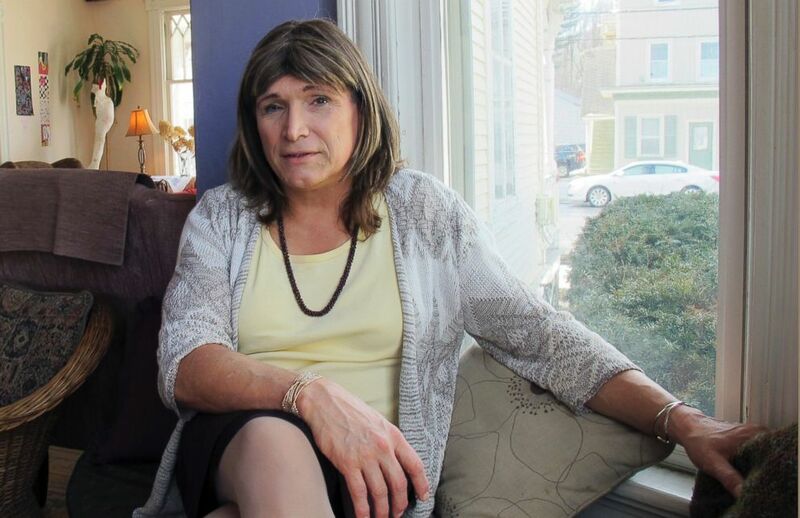 Christine Hallquist, a transgender utility executive seeking the Democratic nomination to run for governor of Vermont, talks about her candidacy, Feb. 21, 2018 in Johnson, Vt. These are developments that often go unnoticed with a White House caught in a seemingly endless string of controversy. Amid revoked security clearances and salacious tell-all books, the president's constant desire to settle personal scores begs the question: is he as focused on keeping Congress in Republican hands this fall as he should be? Democrats of course have infighting of their own to deal with, as the tug-of-war between the progressive and establishment wings of the party continues. But with the bulk of primary season behind us, that power struggle has only continued to fuel Democratic desire to send Trump a message in 2018. Will Democrats win control of the House of Representatives this November? FiveThirtyEight’s newly launched House forecast gives them a 3-in-4 chance of winning the majority. Republicans have a 1-in-4 chance of keeping control. That’s according to a statistical model FiveThirtyEight uses to look at polls of each race, how much money each candidate has raised, how each district has voted historically and more. President Trump participates in roundtable with supporters at 1 p.m and delivers remarks at a luncheon at 1:30 p.m.
Trump heads to Bedminster, N.J. in the afternoon where he will spend the weekend. Jury deliberations in the Manafort trial resume at 9:30 a.m.
No Labels holds a discussion with Rep. Josh Gottheimer, D-N.J., and Rep. Tom Reed, R-N.Y., on how they plan to implement the “Break the Gridlock” package in the next Congress at 12:30 p.m.
"Overall a very good day for Mr. Manafort." — said Kevin Downing, Manafort’s lead attorney, after the jury ended deliberations for the day. ABC News' "Start Here" Podcast. Friday morning's episode features FiveThirtyEight’s Nate Silver discussing the House forecast, which gives Democrats about a 3 in 4 chance of taking back the House. ABC News’ Trish Turner checks in from court after the first day of jury deliberations in the Paul Manafort trial. And, ABC News Chief Global Affairs correspondent Martha Raddatz discusses the controversy surrounding President Trump’s military parade.